Rhapsody. 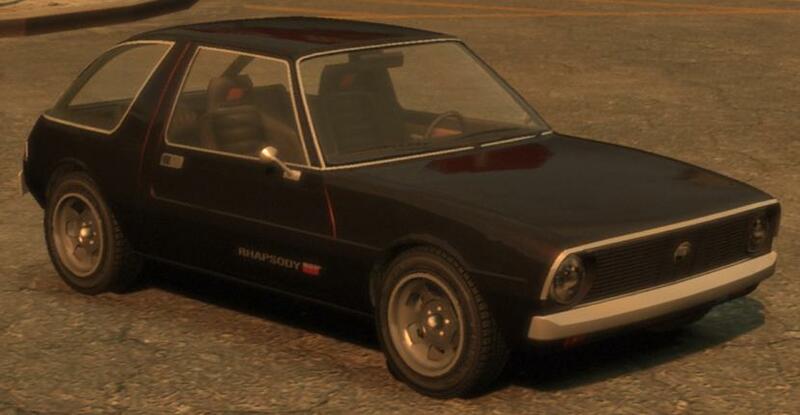 This is the Rhapsody Car, and is also a unique vehicle that Ты can only obtain in Grand Theft Auto IV The Остаться в живых And Damned. Wallpaper and background images in the Grand Theft Auto IV The Остаться в живых And Damned club tagged: johnny klebitz clay simmons terry thorpe jim fitzgereald billy grey brian jeremy. This Grand Theft Auto IV The Остаться в живых And Damned photo contains двухместная карета and купе. There might also be седан, салон, хотрод, машина, авто, автомобиль, and автомобилестроение.